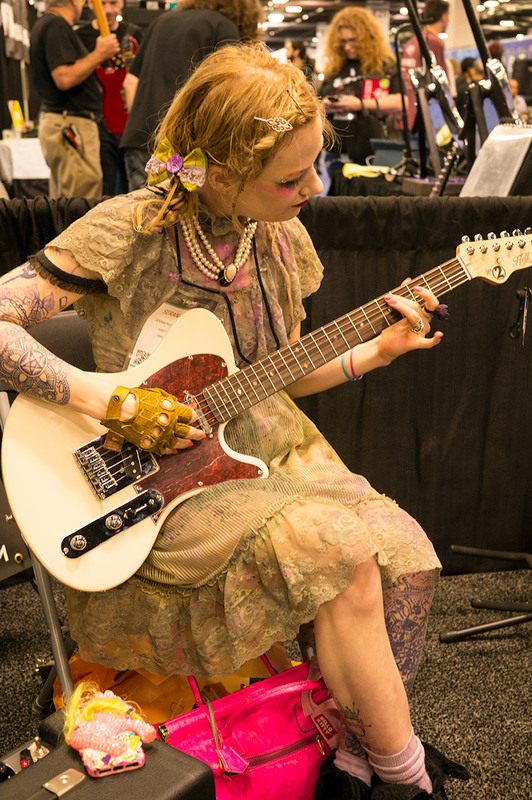 Winter NAMM 2014 Report (finally…) | machinehead! 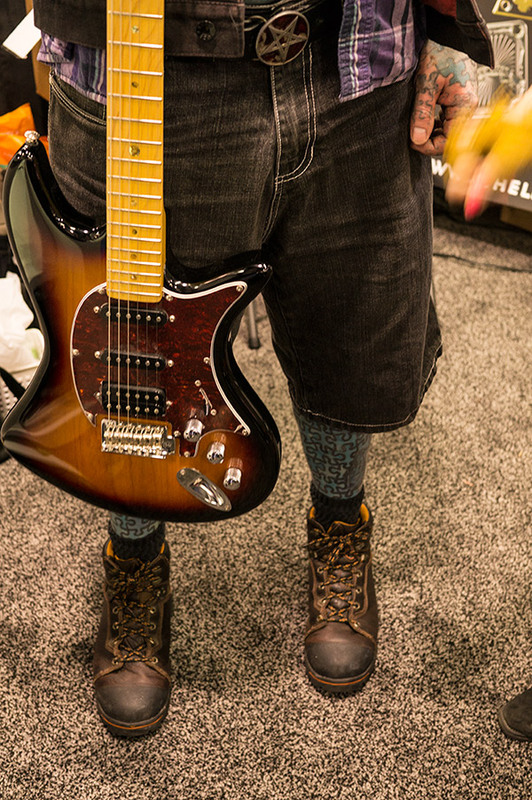 ← NAMM, bam, thank you man! 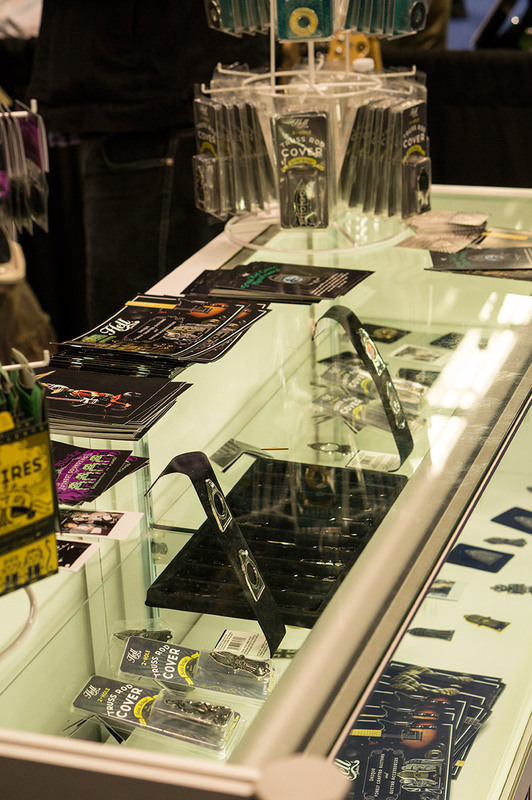 I’ve been waiting for the smoke to clear after returning from this year’s winter NAMM show to post a report, however the smoke is still as thick as ever. Hell Guitars is almost literally blowing up all over the planet (Earth). We’re working morning til morning, moving to bigger digs and hiring some more people to better serve our friends all over this fine world. Thanks again, for coming along with us! Regarding NAMM, I must honestly say to start off I wasn’t terribly motivated this year due in large part to the fairly recent passing of my mother (please see cookie post). There were alot of things I wanted to add to our line-up and to our booth presentation that I just couldn’t be bothered with. Also, I must say that in general, I am not driven by the commerce side of things. I mean I think capitalism and consumerism have a place in this world however it has never driven me. What I love best about what we do is to be able to realize creative ideas and make lots of friends while doing it. And this year’s show really brought the friends out which was especially gratifying. Last year was our first year exhibiting so there were lots of folks learning about us for the first time. This year many of them returned with increased love for Hell Guitars. Particularly appreciated was a music student from a major U.S. university who pulled a Hell Super Black pick out of his pocket and said that he just wanted me to know that everyone in their school loves our picks. Seems one of their professors recommended them and now our picks have become the local pick of choice. Lots of love for the Super Blacks this year and in fact for our guitars and accessories as well. Along with the Enigma and Serana Rose, our dear friend and incredibly talented player/teacher extraordinaire, Robert Renman spent some time in the booth with us over several days. Can’t get enough of Robert. Wish he lived closer… If you can’t get enough of Robert either, check out his Master Guitar Academy site: http://www.masterguitaracademy.com/ Terrific FREE instructional content (and more for pay). Some friends that we met last year, a So. California based band called Bristol to Memory, stopped by and dropped off their newest CD. I must say that I love it and plan to do some things to help promote them as I believe they deserve a bigger world. We’re also quite pleased that they use some of our gear. Very happy to be associated with them. Check these pages in the near future to read and hear more soon. Mike Scuffham, the man behind the brilliant S-Gear amp plug-in stopped by for a chat. Mostly to thank me for the review I posted here: http://www.hellguitars.jp/machinehead/?p=321. It was really a pleasure talking with him. I learned that they’ve added a new amp which I still haven’t had a chance to download but hope to soon. If you haven’t tried this plug-in I really can’t recommend that you try the free trial enough. Nothing to lose and you might just find that it is something you wish you had had a long time ago. Personal thanks to Mark Jones and my brother John who helped in the booth and to my dear friend, John, who hung out for awhile in his Hell Guitars T and who lent his moral support. We hope to meet some more of you next year! Hi Nick. Well maybe you can join the party next year. We’d love to see you! I ll try my best to accomplish this task sir!